After two intensive days of exploration and documentation, the Golden Gate National Parks BioBlitz (March 28–29) captured a vivid snapshot of the unique biodiversity in the parks. Led by more than 320 volunteer scientists from across the country, thousands of amateur explorers, families, and students on school field trips conducted a comprehensive inventory of the plants, insects, mammals, birds, and other species that inhabit national park sites north and south of the Golden Gate, including Point Reyes National Seashore, Muir Woods National Monument, the Marin Headlands, the Presidio of San Francisco, Mori Point, and Rancho Corral de Tierra. 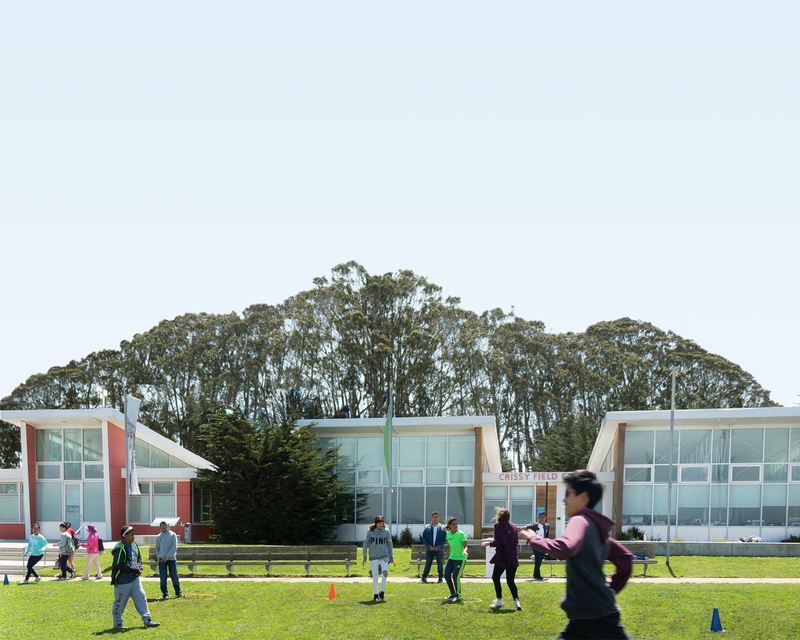 More than 9,000 people, including more than 2,700 schoolchildren, participated in the BioBlitz and the concurrent Biodiversity Festival at Crissy Field. Over 80 species were added to the parks’ species list, including sightings of 15 threatened species. The initial total species count, announced during the BioBlitz Closing Ceremony on Saturday, was 2,304—with well over 8,600 observations recorded over the course of the two-day event. Organizers expect this number to increase significantly over the next several months as cutting-edge testing of the collected samples continues. The first-ever canopy survey of redwoods at Muir Woods gave scientists new information about the height, age, and condition of the giant trees. The first observation of a gulf fritillary butterfly in the park occurred at El Polín in the Presidio of San Francisco; there was also the first-ever park-sighting of a climbing salamander in Muir Woods, as well as sightings of great horned, spotted, barred, and saw-whet owls; a mountain lion was photographed on a wildlife camera at Rancho Corral de Tierra; and two bald eagles were sighted in the Marin Headlands. The Biodiversity Festival included a wide variety of music, hands-on science activities, talks, art, live animal demonstrations, and hands-on science activities. The festival showcased biodiversity across the Golden Gate National Parks, and encouraged the Bay Area community to get excited about, and get involved in, protecting the natural environment. Visitors interacted with representatives of prominent science, nature, and environmental organizations at more than 55 booths. The BioBlitz was part scientific endeavor, part festival, and part outdoor classroom. Participants combed the park, observing and recording as many plant and animal species as possible in 24 hours. Activities included counting seals, catching insects, spotting birds, exploring and examining aquatic invertebrates, and using technology to better understand the diverse ecosystems across the parks. “Today we discovered one of the most primitive, multicellular life forms—a freshwater sponge in El Polín. This discovery clearly indicates that this area has been a watershed for thousands of years as this gemmule—or desiccated version of a sponge—could only have survived on land if it had some access to water,” said Dr. Robert Kimsey, a forensic entomologist and faculty advisor to the UC Davis Entomology Club, whose students made the discovery. “It is possible that this sponge has been in this watershed since before humans lived in the Presidio.” The recent restoration of El Polín, in the Presidio of San Francisco, is part of a larger effort to revitalize the Tennessee Hollow Watershed. “BioBlitz puts a spotlight on the value of science in America’s national parks and offers a unique opportunity for the general public, especially young people, to learn first-hand how important science is in managing parks for the future,” said National Park Service Director Jonathan B. Jarvis, who joined BioBlitzers in Marin and at Crissy Field on Saturday. “We hope that this experience will inspire the next generation to pursue a career in park science,” he added. The Golden Gate National Park BioBlitz was the eighth in a series of 10 annual BioBlitzes to be hosted by National Geographic and the National Park Service leading up to the National Park Service centennial in 2016. The Golden Gate National Parks Conservancy and the Presidio Trust joined the partnership for this year’s event. During closing ceremonies the BioBlitz flag was passed to Cindy Orlando, superintendent of Hawaii Volcanoes National Park, where the ninth BioBlitz will take place on May 15-16, 2015. The first BioBlitz was held at Rock Creek Park in Washington, D.C., in 2007; the second took place at Santa Monica Mountains National Recreation Area in California in 2008. Indiana Dunes National Lakeshore was the site of the third BioBlitz in 2009; Biscayne National Park, outside Miami, was the 2010 site; Saguaro National Park in Tucson hosted the 2011 BioBlitz; Rocky Mountain National Park in Colorado was the 2012 host park, and the 2013 BioBlitz took place at Jean Lafitte National Historical Park and Preserve just outside of New Orleans. BioBlitz 2014 has been made possible through generous corporate support from Verizon Wireless and Southwest Airlines, and generous foundation support from the Verizon Foundation, the Evelyn Tilden Mohrhardt Fund at the San Francisco Foundation, the Gordon and Betty Moore Foundation, the Harold M. and Adeline S. Morrison Family Foundation and the Pisces Foundation. Additional organization support has been provided by NatureBridge and the Point Reyes National Seashore Association. National Geographic has had a close relationship with the National Park Service since the Service’s inception; the Society helped draft legislation to establish the Service in 1916. National Geographic has given grants to establish or sustain national parks and has extensively covered the parks in its media for nearly a century. View the highlights of BioBlitz 2014 in the Golden Gate National Parks on social media using hashtag #BioBlitz2014. For more information about BioBlitz, go to www.nationalgeographic.com/bioblitz.